A modern cloud-based ERP system (like Oracle Netsuite) can help growing companies manage core business processes with a single, fully integrated framework covering ERP/financials, CRM, e-commerce, inventory management and more. Legacy ERP systems can throttle scalability and can hold your business back. 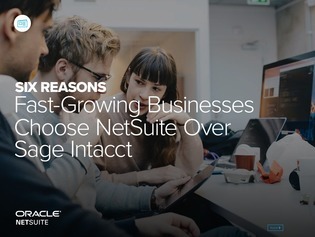 Read this white paper for 6 points of comparisons between Oracle Netsuite and Sage Intacct.